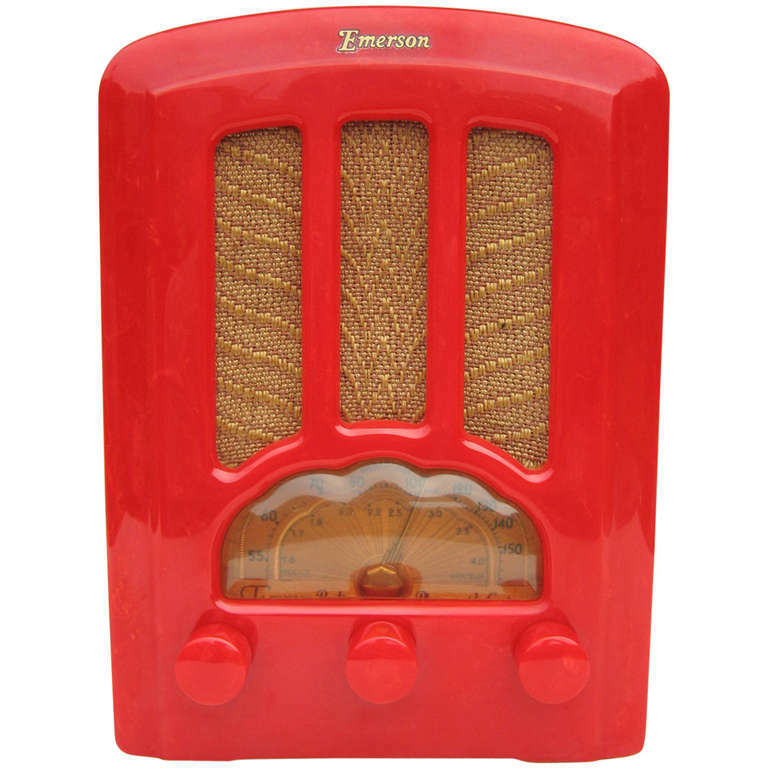 1937 Red Emerson AU-190 Cathedral Catalin / Bakelite Tube Radio. Red case with Red knobs. This radio is very rare to fine it in this condition.